For the purpose of the OUPPS, teams and/or watercraft category or specification and/or gender will not be considered as variables. OUPPS will track and rank individual paddlers regardless of the watercraft they paddle and/or the category they paddle in. Example: A participant can race co-ed tandem canoe in race one and solo female kayak in race two and still collect points for both events. Each participant is allocated a point value based on his or her participation in a recognized OUPPS event. Participant 1: Participates in and finishes three (3) events with no podium placing (50 x 3 = 150 points). Participant 2: Participates in and wins one (1) event (100 x 1 = 100 points). Participant 3: Participates in and second places one (1) event and finishes but does not podium a second event (90 + 50 = 140 points). OUTCOME: Participant 1 wins! Participant 3 is in second. Participant 2 is in third place. 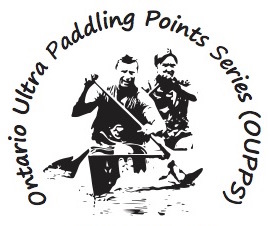 Therefore, the point’s series promotes participation in ultra-distance paddling events, not just winning although that is credited. The more you participate, the more you are acknowledged for your efforts. Point’s allocation submitted by Race Management will be considered final. If a participant wishes to dispute the point’s allocation, the participant must follow up directly with Race Management. At the end of the final event of the season (all events included in the OUPPS), the participant with the most points will be considered the winner of the OUPPS. Ties will be reconciled by confirming the ranking of the disputing teams in the most recent event. The participant who ranked highest in the last event of the season will be considered the overall winner. Should there be a subsequent tie for whatever reason, a draw between the disputing participants will decide the winner. At the last race of the season a trophy paddle will be award to the winning paddler recognizing their achievements in ultra-distance marathon paddling. NEW FOR 2018 – The winner will also get FREE registration into ALL OUPPS 2019 events! The OUPPS seeks to ensure that only established events with proven track records of both safety and customer service are included in the series. Race Management must, to the best of their abilities provide safety and support that matches the risks associated with the event and offers participants an experience of expected value; people are getting what they pay for. Applications for events to the OUPPS may be submitted to (info@oupps.ca) upon which a committee of participating events will make a final decision.